As there is a primary source of all physical existences, there is also a primary source of non-physical existences. A non-physical existence isn't when we pass on (die) either. Being that all physical existences need motion to exist, we are still in motion after we pass on. We are just as much if not more physically in motion after we pass on. The reason for this lies in the choice of not being limited to human perceptions (consciousness), within this limitless state, we are able to be more expressive, more of motion, therefore more physically expressive. Yes, human physicality is limited within it's own physical limitations, being human limits us to how physical we can be. Humans are not very physical at all because they have limited themselves to certain very human perceptions and perspectives, the more we become predominantly human, the more we limit ourselves. These limitation limit us to how physically expressive we become and more importantly, how aware we will be. The illusion we have is that intelligence defines how aware and even wise we will be, it's an illusion because this plainly isn't the case. How wise are we destroying the very thing we rely on for our existence? How aware is our intelligence in that all of everything is connected by common denominators such as existence itself? What about everything being of one consciousness which includes trees, animals and even rocks, yes, even the Earth as a whole!! Intelligence, including knowledge, obviously doesn't define awareness and wisdom and in actuality it's quite the opposite. What also makes us human is our intelligence and knowledge, the more we are of these traits, while at the same time denouncing being connected and a part of other existences, the more we are becoming human. Being human of course means limitations, a consciousness limited to certain denominators. 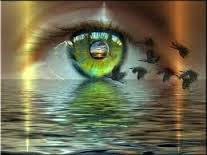 What we are mostly unaware of is our whole self, the more human we become, the more unaware of our whole self we become. Our intelligence and technological advancements doesn't come from knowledge, knowledge of course giving us the illusion that intelligence derives from knowledge. Where does knowledge come from? Knowledge initially derives from the observation of our environment and learning from that. Now take away a huge portion of that observation away, how knowledgeable will we become? By refuting the existence of other existences and our whole self, we limit our observations thus limiting our knowledge, intelligence, awareness and wisdom. This is interesting, what I am saying is that knowledge, intelligence, awareness and wisdom, derives from observation of our environment. What is observation void of participation? A motionless existence, an existence that is non-physical and non-participating, it's this state that our knowledge, intelligence, awareness and wisdom initially derives from. We know that knowledge and eventual intelligence is created from observation, what we are not aware of is that we have limited our observation by becoming too human, thus in turn limiting our consciousness to certain denominators. We have become primarily a participator rather than on observer but now, only an observer of and through human consciousness which is shown to be limited. Try existing without arms and legs, how much harder is life going to be? Try existing without a mouth or a stomach. Each separate part of the human body represents each and every separate part of our whole self. How much harder is it going to be to become aware void of certain a parts of our whole self? As we refute the existence of certain existences, we are dumbing ourselves down, we are becoming less aware and wise, not more. As a collective race, we have never primarily been of one consciousness and observed through one consciousness in the history of mankind. Spiritual practices, including religions, have always conditioned us or made us aware that other existences do indeed exist, the perception of heaven and hell are prime examples of this in the west in particular. The belief in a God or God's and Goddesses, also gave us a glimpse of the creators of existences and consciousness's. Not one thing we invent or create is new, it all stems from the existences that are more aware of their whole self. Of course again God or God's and Goddesses, give a depiction of our whole self, God of course representing everything in existence. I should point out that God to me represents my whole self, the ultimate observer, to me this is extremely relevant. It is very obvious that our own leaders of the world are not of the whole self and neither are the so called elite/multinationals. We really shouldn't be still wondering why our world/reality is so destructive and chaotic. It stands to reason, dumb a consciousness down to it's whole self, what then is this consciousness able to observe from? It's only able to observe from and through a consciousness that is hugely limited to certain denominators, It's quite natural for a consciousness this dumbed down to be destructive. True freedom can only come from the awareness of the whole self, not from one part of the whole self as we are trying to do. I dearly hope this post won't be too incomprehensible for a lot of people, it's not easy trying to explain what is outside the comprehension of human consciousness and make it humanly comprehensible. How indeed can human consciousness comprehend beyond it's own conditioning, especially the conditioning to physical human existence? It's quite understandable that any human consciousness that is conditioned to one existence, will find it difficult comprehending the existence of other existences. I think the trick is to condition yourself to at least realise other existences can indeed exist, only in this will we be able to comprehend beyond human physical existence and perceptions. We indeed have enough problems in trying to comprehend and accept each other within this one existence, on top of this, people like me also state that we should at least try to comprehend the possibility of other existences. The point is, is it possible to understand and accept each other if we refute the existence of other existences, remembering that all existences represent our whole self? There is no true separation of any existence from another existence, even though these existences can be quite different to each other, for example, the perception of heaven and hell or a passive existence to an active existence. It is obvious that a perception of hell is quite different to a perception of heaven, these existences are basically opposing each other, they can't possibly be any connection between them. This is exactly how human consciousness perceives, human consciousness perceives existence as a whole in a separatist way. I suppose this is but another trait that makes human consciousness human, otherwise it wouldn't be human. However, we are not just this human consciousness, we are of the consciousness of all existences physical and non-physical, this is what connects us to our whole self or our whole existence, not just one part of a whole existence. What connects us to all other existences, is existence itself, existing is the connection between different existences. The perception of existing is the common denominating factor that links all existences. Human conscious existence is but a very tiny part of our whole selves, it's minute compared to our whole self which includes all existences and all consciousness's. Now within and through this tiny existence, we try to comprehend other existences, other parts of our whole self. At the same time, we are unable to understand each other and our whole environment within this existence. I think we have become too fixated to one existence and one existence only, within this, we are even unable to understand and accept each other and our environment as a whole within this existence. We have made it very difficult to comprehend and accept our whole self within this very tiny human existence. What I think we have done, is separate our existence from other existences through separatist thinking processes, like, hypothetically, there is a difference between the existence of hell and heaven. We separate everything through their differences, we don't often connect everything through it's common denominators, in the end through this perception, either one or the other existence no longer exists or neither exists. Within the perception that neither exists, all existence becomes an illusion. In my mind, the real illusion is thinking that we are just this tiny part of our whole self, our whole existence. To me, we are not of one existence, we are of all existences and simultaneously. Yes, we exist in every existence known and unknown to our human comprehension simultaneously, its just our limited human perceptions, can't possibly comprehend this so we stay ignorant to our whole self. When we take a look at physical existence, physical existence as a whole is of every part of itself, meaning, one part of physical existence is being human, another apart is being animals or rocks for instance. Every part of physical existence is apart of a whole physical existence as it all has a common denominators, it's physical, it's of solid mass, it exists. Each of these common denominators connect each existence, there is not true separation between these existences. What separates one existence from all other existences is ego. A controlling ego wants to be at the top of a scale, to do this, the ego needs to refute the existence of being apart of other existences and especially of a primary physical existence. Human existence and consciousness then becomes the primary physical existence. 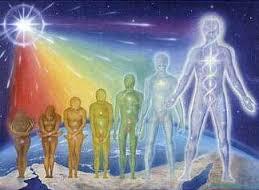 The primary physical existence represents all physical existences no matter how different they are to each other. Could you imagine refuting the existence of a hand compared to a foot because of the difference between a hand and a foot, not there common denominators and connection to the primary physical whole human body. Our separatist thinking is exactly like this, it's different so it either has no connection with us, or, it doesn't exist, it's an illusion. Our whole being includes all physical and non-physical being, it's all of one being. Destroying the planet as we are today, is like cutting off a foot because it's too different to the hand to be apart of us, our primary whole human body. As of ourselves, our human body is the primary source of our physical existence, so too is the primary source of all physical existences. Human body = primary source of existence to each and every part of our physical body, no matter how different each part of the body is to each other. Physical existence as a whole = primary source of all physical existences, no matter how different each existence is to each other. We simply just don't exist in this one existence, we simultaneously exist in all existences, this doesn't just include physical existences either, it also includes non-physical existences for which I have not included in this post. "When one door closes, another opens; but we often look so long and so regretfully upon the closed door that we do not see the one which has opened for us. Alexander Graham Bell"
As one door closes, so too will another one open, this is an inevitability that is governed by motion. It's sort of like one of the laws of motion, for a door to close, another door has to be on the verge of opening otherwise all motion becomes motionless. 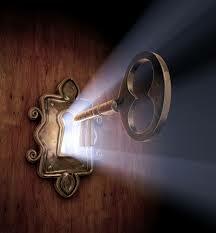 Could you imagine being in a reality that you are fixed to because there is no motion to open another door!! Motion naturally opens other doors, however, at times to open other doors, excessive and extreme motions are needed to open these other doors, I think this is what we are presently experiencing. Meltdown: Recently, I experienced a mental meltdown, basically, my mind broke down to an extent, it no longer wanted to cope with what I was presently focusing on. In my situation, as soon as I become too unfocused from my inner being, the mind couldn't handle this, my mind basically chucked a patty, meaning, my mind became upset/disturbed. As soon as you condition yourself to focusing on your inner being, this is what your mind becomes accustom to, anything other than this, the mind becomes disturbed in a sense it becomes maladjusted to it's present focus. In my case, I had to focus on something else other than my inner being, the mind acted in accordance to this kind of motion thus creating a mental meltdown. It's like closing a door to your inner being and reopening a door once closed. A mind conditioned to our inner being, will react to a situation when the inner self is no longer the main focus. Its like being rejected by beloved loved one's, such a rejection will incur a unbecoming reaction of a kind. Yes, it feels apocalyptic because the mind is no longer accustomed to this kind of motion. This in all isn't a bad or negative sign, it's actually good sign that we have indeed begun to enter another door, we are no longer accustomed to the door or reality we are closing. However, until we fully close a door, we can never fully open another door, it's like being in limbo or no man's land. It's like a closet with two doors, shut one door, the other door automatically opens. The harder or more motion we shut one door with, the further the other door opens. We are collectively slamming one door to a reality to fully open another door to another reality, by doing so, our time in limbo should be shortened. This is how I think an existence in motion works. Motion: If our mind is conditioned to motion, this experience of limbo will feel rather unsettled to us, however, if we conditioned our mind to motionlessness, this state of limbo will feel comforting. The problem with this is now we will feel uncomfortable in an existence of motion. To get around this, balance is the key, a balance between motion and motionlessness. Condition your mind to both motion and motionlessness, within this, every door we close to open another door, will be less discomforting to us. I recently lost this balance when I conditioned my mind to balance. Yes, even when we condition ourselves to balance, experiencing an imbalance will incur a degree of discomfort brought about by the mind becoming disturbed in some way. It's therefore also a good idea, while experiencing an existence of motion, to condition yourself to imbalance as well. Yes, experiencing an existence of motion is tricky in any sense, the trick is, balance within all things. Collectively, the present reality we are experiencing seems to be apocalyptic, an a existence of self-destructiveness. What it truly is, is that one door is being slammed shut to instantly open another door to anther reality, of course we could do this more gently but I don't think too many people want to expedience too much of limbo, a state that is motionless, a state between two doors. The reason why a lot of us don't like a state of motionlessness, is to do with conditioning ourselves to motion, anything other than motion becomes discomforting to us. Physicality: Motion is indeed related to physicality, a state of mind conditioned to the preoccupation of physical being as opposed to inner being. Of course the physical being is only opposed to the inner being when we become too preoccupied with physical attributes and existences. All physical existence is attributed to motion, so we could presume that all non-physical existence is attributed to motionless, this of course isn't the case or so it seems. You can indeed experience motion void of an actual physical existence as in solid mass, the problem with this is that we often relate physical existence with something solid or 3 dimensional. The strange thing is, physical existence isn't reliant on mass, it reliant on motion alone. Basically, motion can exist void of a solid form of mass, in actuality, there are existences of motion that have no mass to speak of, these realities are as much, if not more, physical than our own reality that is based on mass. To me, motion creates physical existences, not mass. So what's has this got to do with the meltdown and the apocalypse, the closing of one door to open another? Balance: Because we are conditioned to relating motion with mass, we will open yet anther door to a reality based on mass. The reason for this lies in our conditionings to physical being only being of mass when physical existences are based on motion alone. Why do so many spiritual practices condition us to the inner being? Of course no spiritual practices should condition us to our inner being while fully negating our physical being in my mind. The reason for this is there is no balance between our physical being and our inner being within this, being that all being is who we are as a whole. It's wise to balance the whole, not what we desire to be the whole....!! The creation of the meltdown and the apocalypse, is due to our reaction to our present reality. Being that our physical being is a representative of our physical being (motion), our inner being must be of our non-physical being (motionless). Any preoccupation of our physical being, will naturally create meltdowns and apocalypses, this is inevitable, especially when at the same time we negate or stay ignorant to our inner being. I thought I would start up another blog simply titled, "Freedom", so welcome friends and other well wishes and philosophers looking for freedom from our present collective reality. As the description of this blog infers, this blog is about freeing ourselves from our encumbrances and limitations. In my mind, we have become conditioned to these encumbrances and limitations that stop us from further evolving in consciousness. This further evolving in consciousness doesn't mean we will evolve further in human consciousness either, it means we will evolve in consciousness beyond the limitations of human consciousness. To me, any consciousness that is obvious within it's self-destructiveness, is on the verge of a massive shift of consciousness. This shift in consciousness will also mean we will start to exist in a different reality to what we are conditioned to, a consciousness that is not as limited as human consciousness. 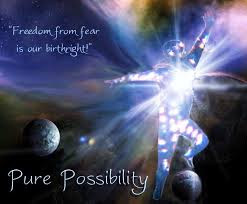 As I did in my previous blog, I will share a dream I had last night, this dream sort of says it all in relation to finding freedom, especially in regards to fear. I had quite an interesting dream last night. The world was going to the pack, it was destroying itself from within. The people within my group started panicking, this was the end, there was no way out. Even though things were getting worse, I stated that things were actually improving, in actuality the state of decay was a sign that things will improve before the end occurs. The end being of fear which the human race was being conditioned to, I knew this wasn't going to occur. Faith can indeed move mountains. When approached by these people who were totally conditioned to the end, they spoke of being delivered through the end of the world as we know it. These people to our group seemed stupefied like zombies. I then looked them straight in the eye and showed them their truer self. It was like switching on a light switch, all of a sudden they became aware of their truer being, they no longer acted like zombies. Within this one group of zombie like people, once one changed, they soon all changed their disposition that was no longer based on fear. The singing at the end of the dream was incredible, it sounded as if all of mankind came together as one after a tumultuous battle against fear, it was really beautiful.